Temple Newsam is one of Yorkshire&apos;s greatest country houses. This stunning Tudor-Jacobean mansion has a history full of mystry and intrigue from its links to the Knights Templar to to the birthplace of Lord Darnley, infamous husband of Mary Queen of Scots. Explore three floors of this wonderful house and over forty sumptuous interiors which have been lovingly restored. 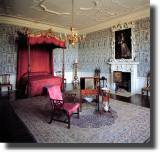 Temple Newsam House has rich collections of art, many of which have been designated as being of national importance. The house is filled with paintings, silverware, ceramics, glorious wallpapers and furnishings and Chippendale furniture. The 1500 acres of Capability Brown parkland includes parkland, woodland, lakes and gardens such as the 1920s Rose Garden. The estate also includes a working farm with animals such as pigs, goats, sheep, ducks and hens. The house has a regualr programme of special exhibitions, family activities, regular tours and events for various ages and interests. Temple Newsam Road, 4 miles from Leeds City Centre, off the A63.